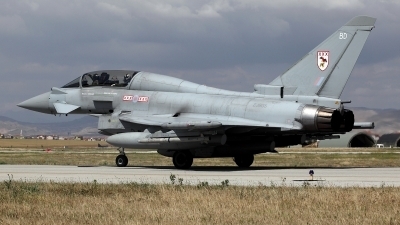 Launching on a mission at Konya AB during Anatolian Eagle 15/1. 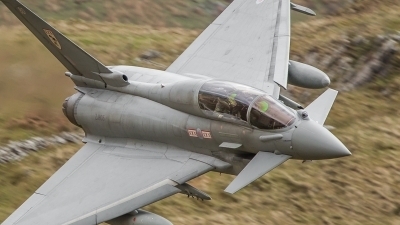 We are not the only ones into photography, see the backseat pilot. 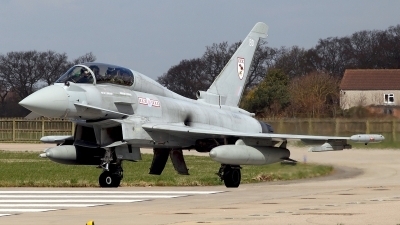 ZJ805 about to hit the deck at RAF Coningsby. 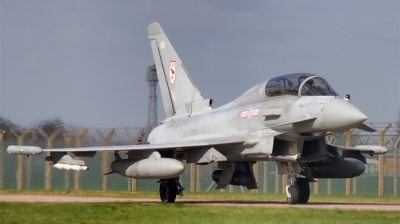 'BD' performing an asymmetrically powered low approach at Coningsby. 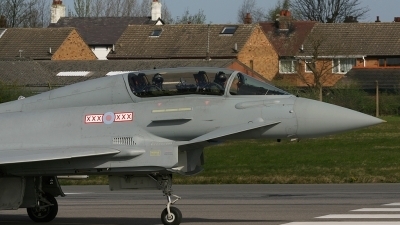 Note the pilot correcting with right rudder. 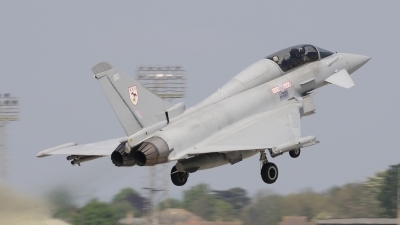 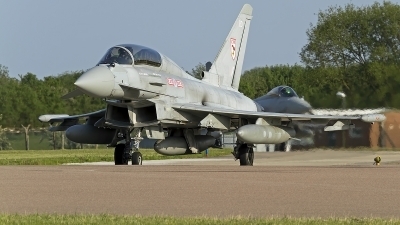 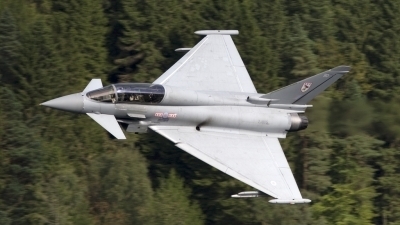 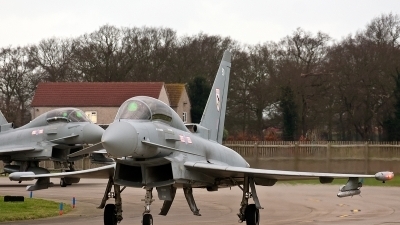 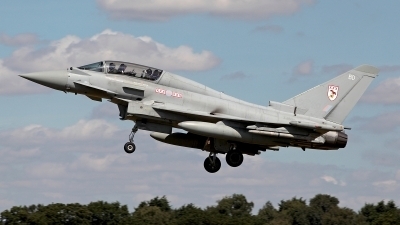 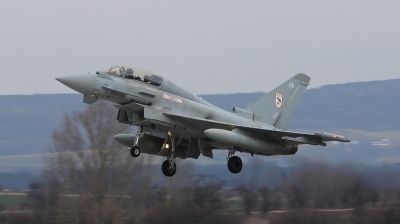 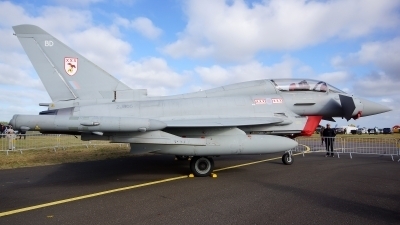 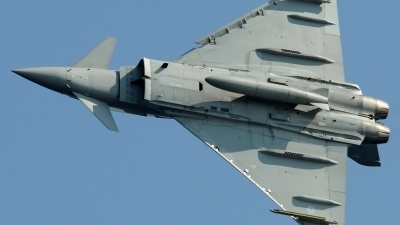 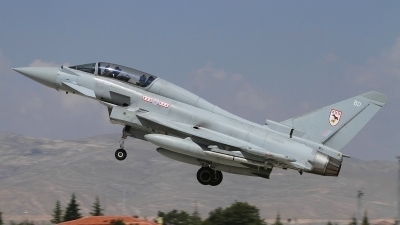 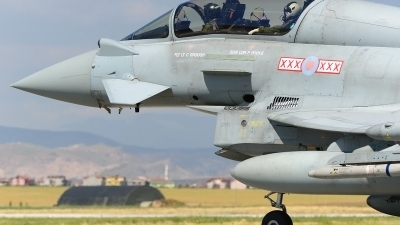 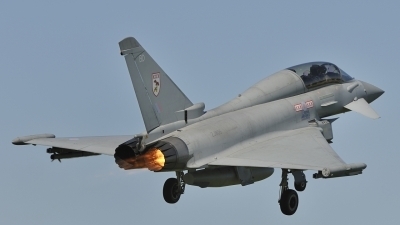 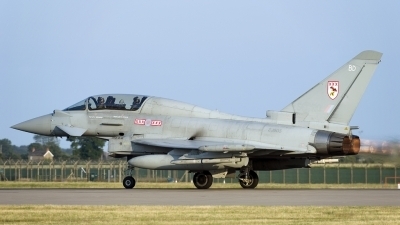 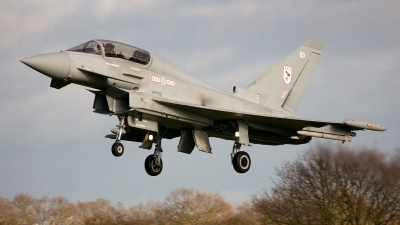 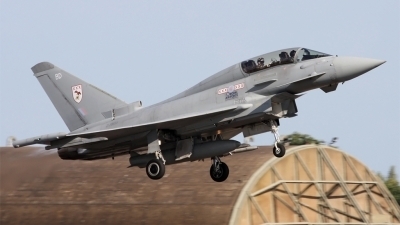 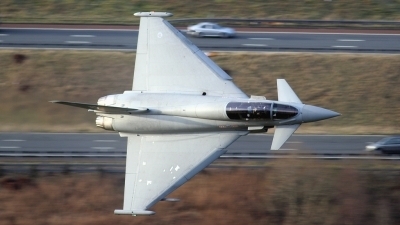 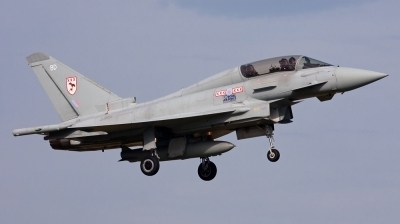 29 Sqn Typhoon at low level in LFA-17. 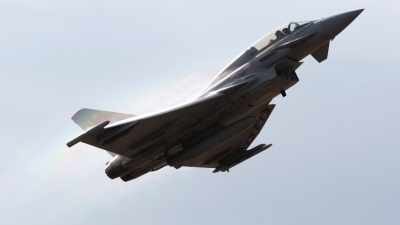 Flt Lt Charlie Matthews goes vertical at the end of his display at Southport, producing a rather spectacular rainbow as he does so. 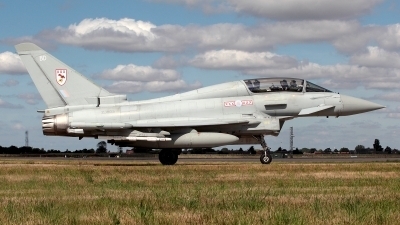 FESTA AL CEL 2008 (Barcelona Airshow) Amazing Typhoon of the 29ºSquadron "OCU"(Operational Conversion Unit) based on Coningsby. 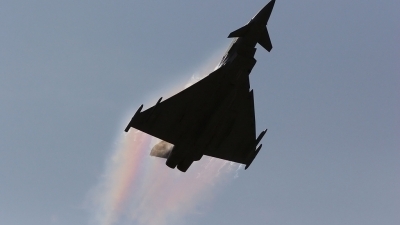 The Typhoon creates a nice rainbow effect off the top surfaces during its display at Southport airshow.